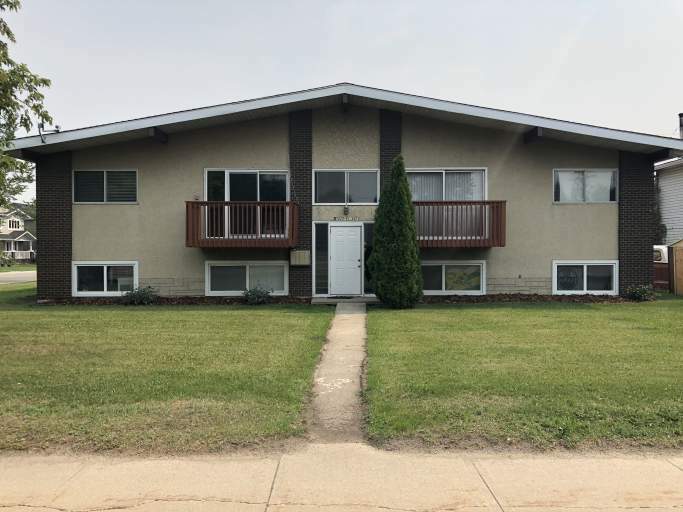 Located directly of 75 Street this wonderful building offers premium access to commuting routes to Downtown, Sherwood Park and the North East! Plus, with tons of amenities close by including Capilano Mall, Bonnie Doon Centre, Concordia University this is the perfect location to call home! Enjoy easy access to bus routes, and soon the LRT stops at Bonnie Doon Mall. The building offers an outdoor parking space, room enough for two cars! Plus, onsite laundry and large balconies on every unit! Not to mention plenty of recent upgrades and renovations! The suite has brand new stylish vinyl plank flooring, and new paint throughout! Wow! The front door leads you into a massive living room with large windows and access to a west facing balcony. Off the large living room is a small dining area and functional kitchen with lots of cupboard space and a full-size fridge and stove. Down the hallway you will find two spacious bedrooms with built in closets and large windows along with a large bathroom complete with a tub shower! Don't miss out on this amazing unit! Be the first to enjoy the new flooring and paint! Call or email us to schedule a viewing!